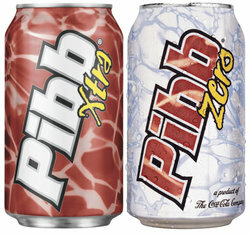 Pibb and Pibb Zero. Most people don't know that these products are only available in a few states. The classic taste of Mr. Pibb now has a little more bite, and Pibb Zero is the zero calorie version.